If you’ve ever had to deal with a difficult friend then spare a thought for Professor Charles Xavier (James McAvoy) who’s forever trying to coax his mad mate Erik (Michael Fassbender) back from the brink. Erik’s alter-ego, the metal manipulating Magneto, is at it again in the ninth instalment in the X-Men series (if you include the Wolverine films and Deadpool), with franchise favourite Bryan Singer returning to the helm. 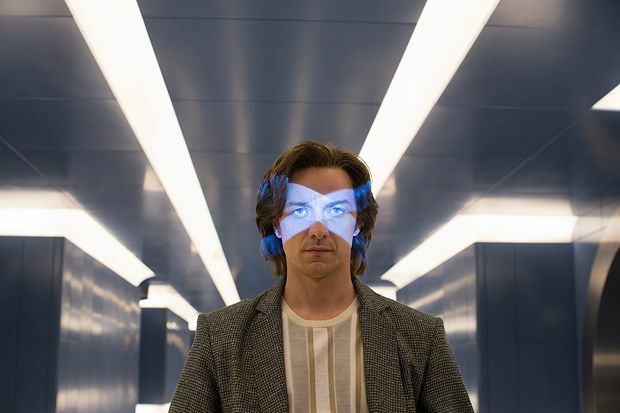 Set in 1983, ten years after the mutants-outing events of Days of Future Past, the film also completes a trilogy of prequels as it introduces the first mutant and titular villain (who was teased in the post-credits sequence of DoFP). Awakening from a record-breaking slumber, Apocalypse (played by Oscar Isaac as a cross between a massive scarab beetle and Boris Karloff) is – yes you’ve guessed it – hell-bent on destruction, and he ropes in Erik, who’s reeling from a personal tragedy. Meanwhile, Charles’ plan to create students not soldiers at his mutant academy is once again scuppered, with new recruits this time including a young Jean Grey (Game of Thrones’ Sophie Turner), Cyclops (Tye Sheridan) and, best of the bunch, Nightcrawler (nice work from Kodi Smit-McPhee). After its mind-bending predecessor, X-Men: Apocalypse pares down the plot and ups the ante, but the lack of narrative ambition renders it somewhat unengaging, and it feels a long way down the line to be meeting characters we’re already familiar with. Despite a distinct lack of unadvertised surprises, there’s superficial excitement aplenty and on a colossal scale. However, the difficulty of maintaining a franchise across two generations of cast means that the widely trailed cameo from Wolverine (Hugh Jackman) culminates in a creepy moment marked by a 27-year age gulf. And, after he stole the show last time round, the filmmakers lazily hope that Evan Peters’ Quicksilver will do it again in a similarly staged intervention; unfortunately this time his mischievous antics undermine the dramatic impact of a key scene. Fassbender is the only member of the core cast with anything interesting to do emotionally (he gets a good WTF moment too) and there’s no questioning this fine actor’s conviction. Although Jennifer Lawrence’s Mystique was front and centre in the trailer she’s far from integral here but her crabby charisma is always welcome, while McAvoy endearingly channels Hugh Grant when he’s reunited with CIA agent / love interest Moira (Rose Byrne). X-Men is a franchise that can coast on the considerable appeal of its suitably extraordinary ensemble, but even these actors can’t distract from the fact that this well has run desperately dry of ideas. General release from Wed 18 May.